BRUSSELS, Belgium, March 26, 2014 (ENS) – At an award ceremony Monday in Brussels, the European Commission honored the Spanish municipality of Rivas-Vaciamadrid with the Sustainable Urban Mobility Plan Award for 2013 and also honored Ljubljana, capital of Slovenia, with the European Mobility Week Award. The annual Sustainable Urban Mobility Plan Award is presented to local authorities that are excellent at addressing urban mobility challenges through developing and implementing sustainable urban mobility plans. Each year has a particular focus. The 2013 awards recognize cities with mobility plans illustrating the integration of economic, social, and environmental policy criteria. The 2013 Sustainable Urban Mobility Plan Award attracted 21 applications from 11 EU countries. An expert jury assessed the applications on their achievements and selected the winning city to receive the prize of 10,000 euros to support their awareness-raising activities on sustainable urban mobility. 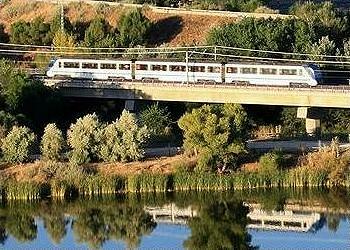 Rivas-Vaciamadrid is located at the meeting point of the Jarama and Manzanares rivers approximately 20 kilometers from central Madrid. It has been one of the fastest growing municipalities in Spain; the population has increased from 500 inhabitants in the 1980s to roughly 80,000 today. Despite the high growth rate, almost three quarters of the municipality form part of the south eastern regional park, making it an important ecological center with numerous lakes and many species of wildlife. To reduce the number of journeys made by car, Rivas Vaciamadrid has developed programs that aim to improve road safety, while reducing noise and air pollution. An example is its School Paths road safety educational program, through which the city facilitates discussion between parents and teachers on their school’s mobility. Close behind Rivas-Vaciamadrid were the Sustainable Urban Mobility Plan finalists Strasbourg, France and Vitoria-Gasteiz, Spain. The European Mobility Week prize winner Ljubljana set up an extensive program of activities and events promoting sustainable travel during European Mobility Week September 16-22, 2013. In addition, Ljubljana introduced permanent measures to encourage use of public transport, cycling and walking. Focusing on the 2013 theme, “Clean Air, It’s Your Move,” Ljubljana engaged a wide variety of stakeholders, including research centers, schools, kindergartens, sports associations and citizens associations. By extending its existing noise and air quality measurements, Ljubljana was able to get a better overview of the impact of motorized traffic on public health and quality of life. The city also used the occasion to carry out research on travel behavior and gather data on bicycle usage. During the car free day, Ljubljana restricted car access to Slovenska Street, one of the main boulevards of the city that was heavily affected by car traffic. This area will now be gradually redesigned as a pedestrian zone. The 2013 European Mobility Week award received 30 applications from 12 countries. The winner was selected by an independent panel of transport experts. Runner-up cities Östersund, Sweden and Budapest, Hungary also demonstrated their commitment to sustainable urban mobility by developing creative campaign formats and introducing new transport solutions.